The thermolising unit type В«HVF_THВ» is a combination of the padder type В«HVFВ» and the nozzle box dryer type В«THВ». В«HVFВ» and В«THAВ» can also both be used individually. The nozzle box dryer type В«THAВ» is used as a separate dryer unit with an unwinding device attached at the entrance of the dryer, float dryer, drawing out device and upwinding device. 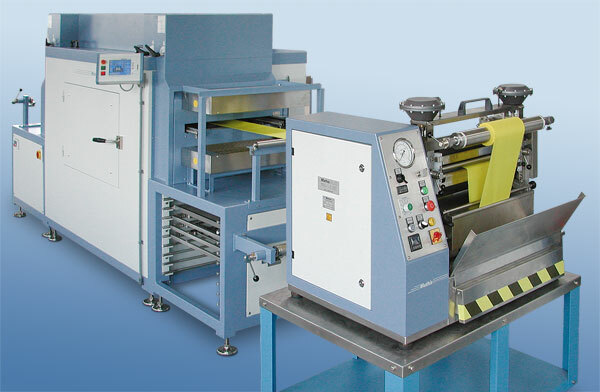 The nozzle box dryer type В«THNВ» also has a transport device for pin and foil frames. Max. sample size 50 x 50 cm.